← Can We Not Turn Lee Kuan Yew Into A Marty Stu? SINGAPORE – A youth who attacked foreign workers with his friends because he was bored and also to hone his fighting skills was sentenced to a short detention of 10 days on Monday. The short detention order is a community sentencing option that is intended to be less disruptive and stigmatising than jail. The teenager, Daryl Lim Jun Liang, 19, was also ordered by the court to report to a supervision officer every day for a year, be electronically tagged and remain indoors from 10pm to 6am. He also has to perform 150 hours of community service within a year. 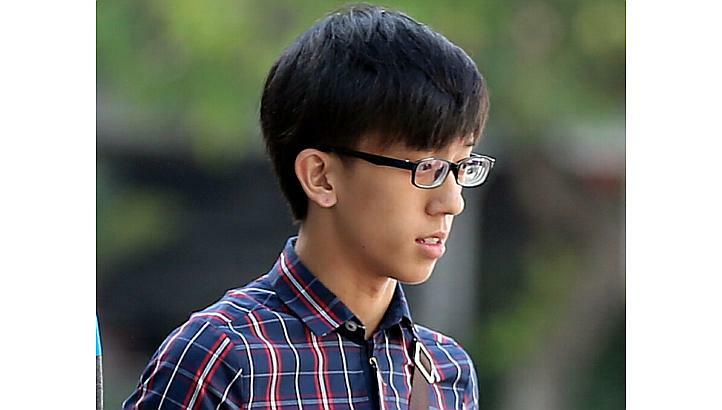 Lim, an Institute of Technical Education (ITE) student, is out on a $15,000 bail as the Prosecution applied for a stay in execution of the sentence while it reviews whether to file appeal. The court heard how together with three other friends, Lim had in September and October last year picked on four smaller foreign workers who were deemed less likely to fight back. In January, he pleaded guilty to one charge of voluntarily causing hurt with another charge to be taken into consideration during sentencing. The court heard that on Oct 3 last year at around 3am, Lim and his three friends – Tan Jun Liang, 18, and two other 15-year-olds, who cannot be named because of a gag order – met in Yishun and decided to look for foreign workers to assault. At about 6am, they spotted Chinese national Zuo Yu Nian, 48, walking along Yishun Avenue 6 and attacked him. Lim and a 15-year-old accomplice punched the construction worker multiple times on the face and mouth before fleeing. Deputy Public Prosecutor Nicholas Lai noted that the attack was entirely unprovoked and there was a clear premeditated intent to pick on and assault a specific group with a certain build. He urged the court to send Lim to the Reformative Training Centre, where a stint would last between 18 and 30 months. “A deterrent sentence is needed more than ever in light of the increase in the number of youth crimes involving violence,” said DPP Lai. He noted that from 2013 to last year, there was a 10.9 per cent increase in the number of crimes against persons – from 3,822 cases to 4,237 cases. The number of youth arrested meanwhile rose 2.1 per cent, from 3,031 in 2013 to 3,094 last year. And the number of youths arrested for rioting last year grew by 13.8 per cent, from 283 in 2013 to 322 last year. “Based on the statistics, there is now a more-than-ever pressing need to send a clear message to potential offenders that committing acts of gratuitous violence against others will be met and countered with the firm hand of the law,” added DPP Lai. But Lim’s lawyer, Mr Luke Lee, asked that his client not be sent for reformative training as it may affect his future work prospects. It was also Lim’s first brush with the law, and he had a record of good conduct with satisfactory academic performance in school. District Judge Lim Keng Yeow noted that Lim had a supportive family and was found to be receptive to parental advice and at low risk of criminal reoffence. The judge said that it was important to note, in deciding between reformative training and community sentencing, that the former results in an “indelible criminal record”. The case involving Tan is pending. The two 15-year-olds are on 18 months’ probation. Lim could have been jailed for up to two years and fined up to $5,000.